By tonight (Tuesday) I need about six-and-a-half kilos of starter for the week’s mix. I start my build Monday morning. So after Monday morning’s refreshment I was left with 250g of the watery stuff. 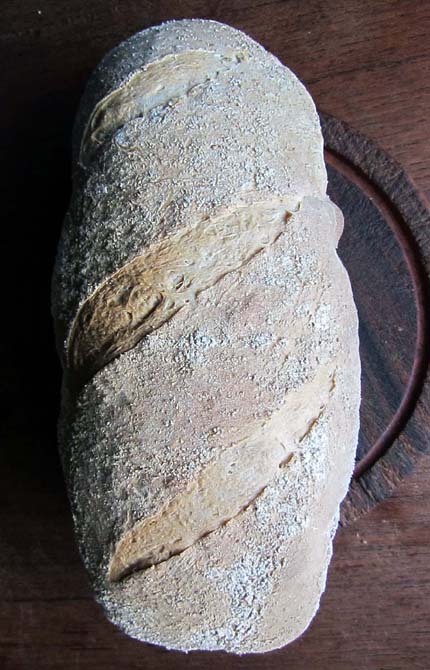 I don’t think the planet is going to die if I throw out a little starter (I’ll leave that to you car drivers) but I’m a bugger for a bit of an experiment so I thought I would calculate a loaf based on the available starter. 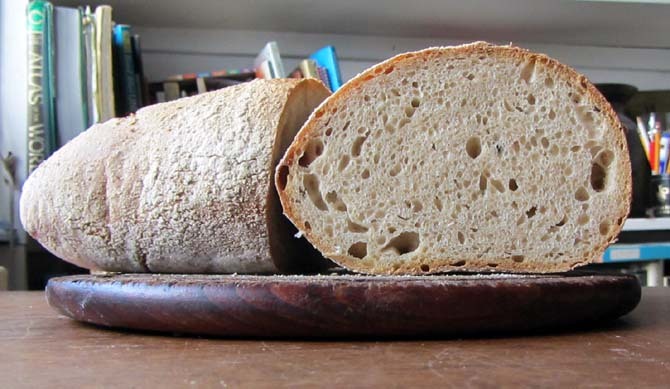 As the starter was a bit knackered I decided to double the average proportion in the dough and so called the 350g 60%. So flour at 100% would be 583g. Make the water 60% hydration – another 350g. Salt 1.7% – 10g. And you STILL think you need yeast? I guess it must have been all those wild yeasts from your back garden you allowed it to catch while the starter bucket was on your window ledge overnight ?